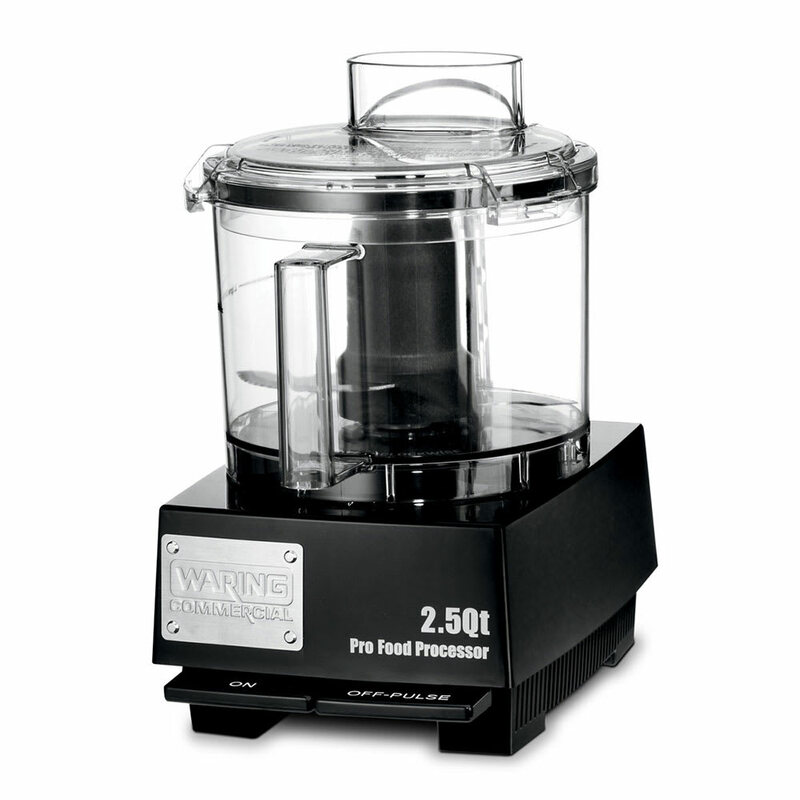 Waring's WFP11SW 2.5-quart commercial food processor has a sealed polycarbonate batch bowl and cover that can process soups, sauces and other products without leaking. 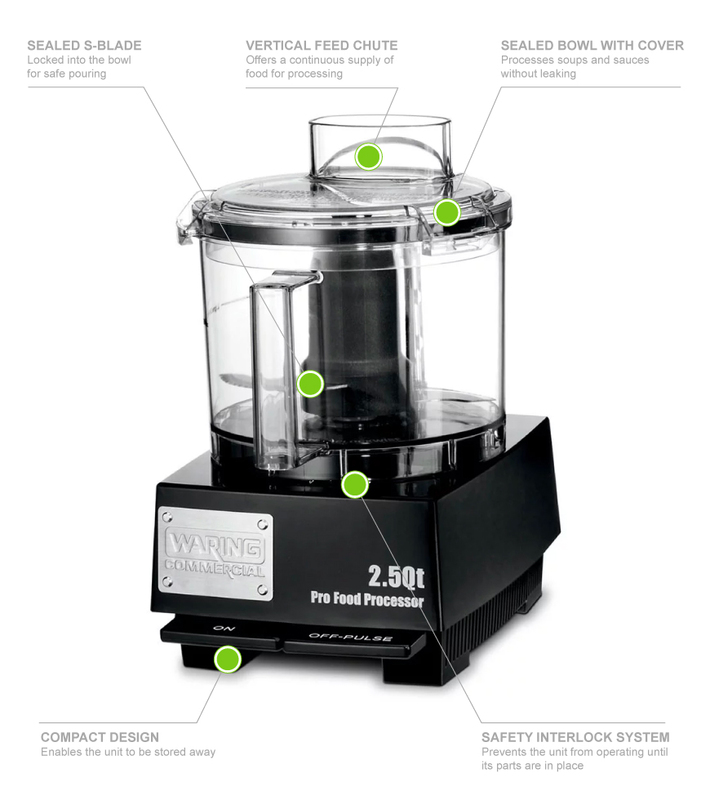 This model has an S-blade that is sealed and locked for your products to pour safer and simpler, as well as a sealed whipping disc helps make creams and butters as part of its LiquiLock™ seal system. It also has a vertical feed chute for your products to be placed inside and processed quickly.